Artists, makers and now writers too! 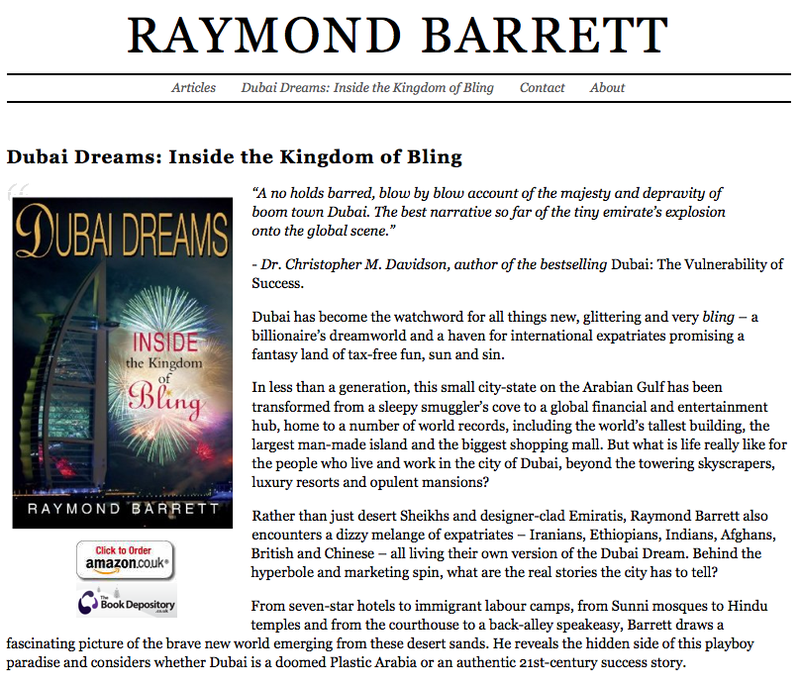 Raymond Barrett is a writer who until recently was based in the Middle-East. He has writen regularly on the region for Ireland’s Sunday Business Post. He has also written for Foreign Policy, the Christian Science Monitor, Open Democracy, the Beirut-based Daily Star and the Kuwait Times. 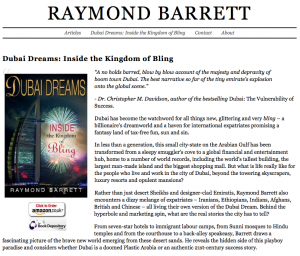 Now he’s publishing a book on Dubai, the economic miracle and it’s aftermath. His website is here, where you can also pre-order the book!